When you are looking for a midsize crossover SUV that has three-rows of seating, lots of practical power, and ample room for all your gear, the 2016 Chevrolet Traverse is an excellent choice. This vehicle is nimble in the city and capable in the country, making it ideally suited for families and adventurers alike. Find out if this is the right new vehicle for you by examining how the newest Chevy Traverse compares to the 2016 Ford Explorer. To learn even more, take a tour and test drive at Sunrise Chevrolet in Glendale Heights, just a short drive from Bloomingdale, IL. At both the low and the high end you will pay a lot less to drive a 2016 Chevrolet Traverse. 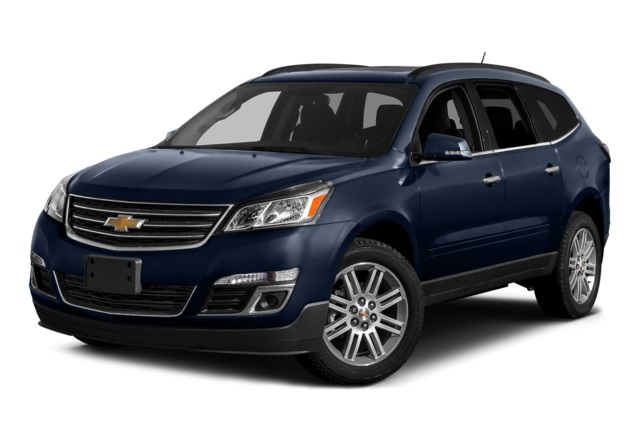 2016 Chevy Traverse: MSRP on the base trim starts at $28,700, and on the premium trim starts at $42,145. 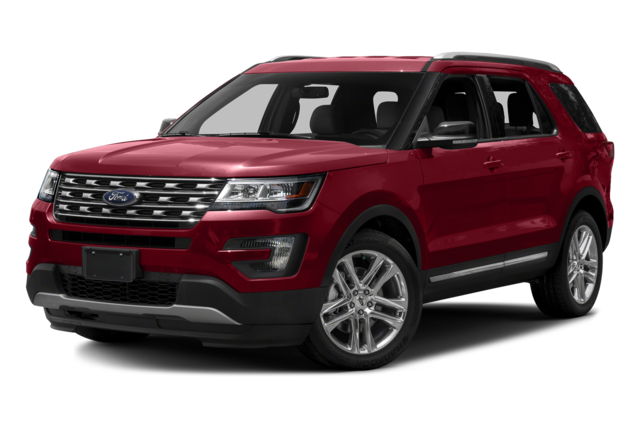 2016 Ford Explorer: MSRP on the base trim starts at $31,050, and on the premium trim starts at $52,970. The ample cargo capacity available throughout the cabin of the Chevy Traverse makes it easy to pack up anything and everything and not feel cramped. Dedicated cargo capacity measures 24.4 cubic feet. Behind the second row of seating, there is 70.3 cubic feet, and overall the vehicle can hold up to 116.3 cubic feet of stuff. For the Ford Explorer, cargo space behind the rear seats measures only 21.0 cubic feet. Behind the second row there is just 43.9 cubic feet, and overall the total falls far short at only 81.7 cubic feet. The base engine in the Explorer has a few more horsepower, but the Chevy Traverse has more torque and is able to make better use of its available power. The standard engine is a 3.6L V6 that puts out 281 hp and 266 lb-ft of torque, can sprint from zero to 60 mph in 8.1 seconds, and can tow 5200 pounds when properly equipped. The standard engine on the 2016 Ford is a 3.5L V6 that puts out 290 hp and 255 lb-ft of torque. Still, it takes 8.4 seconds to go from zero to 60 mph and cannot tow more than 5000 pounds. The base trim of the 2016 Chevrolet Traverse comes equipped standard with a number of high-tech features that best the Explorer. The OnStar telematics system boosts the overall safety of the vehicle and doubles as a 4G LTE Wi-Fi hotspot. A 6.5-inch touchscreen display handles infotainment, and the stereo includes an extra two USB ports so that you can charge multiple devices. OnStar and mobile internet are not available on any Explorer trim. The base trim has a touchscreen display that measures only 4.2 inches, and a stereo with only one USB input. To get a closer look at the Traverse, come to Sunrise Chevrolet at 414 North Ave, Glendale Heights, IL. We are only 10 minutes from Bloomingdale and easy to reach by going south on Glen Ellyn Road. Please contact us if we can answer any questions about the Traverse or about our dealership.